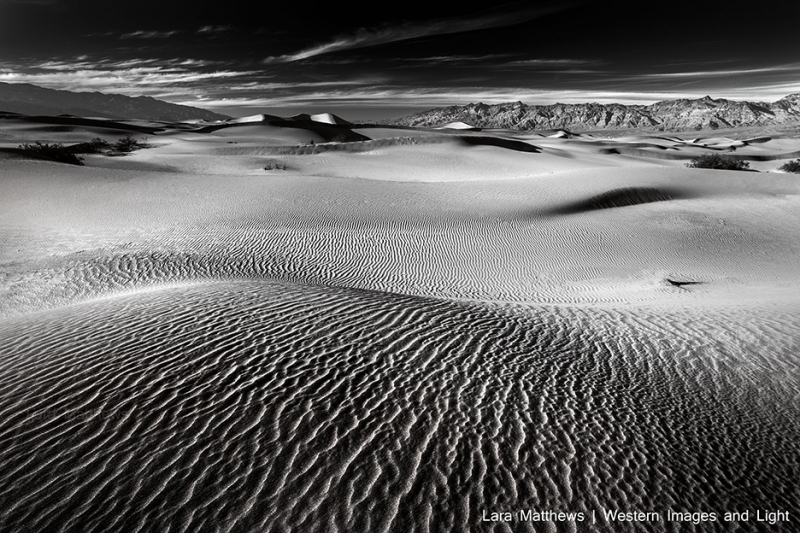 I had been thinking about this photograph for a while and planned the trip to Death Valley with my fiance Greg and my daughter Charlotte to see if I could capture the image that was in my head. We hiked through the sand, traveling by foot and stopping often to look around for areas where shadowed gradients met the light. When I finally arrived at the location, no other people were in sight. I sat by my tripod, emptying my mind and breathing in the desert air. I waited patiently until the golden hour was upon us. The juxtaposition of low evening light and long shadows really helped create the composition I captured.